ProForm Performance 400 treadmill combines a wide array of advanced features and superior technology in a well designed package which is designed to get you in shape quickly. 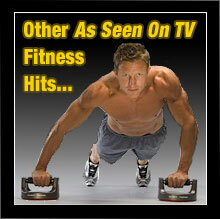 It’s a power packed fitness solution that offers maximum bang for your buck. Get high-powered performance and undeniable results with the ProForm Performance 400 treadmill. With iFit Live built-in, this treadmill delivers workouts powered by Google Maps, training with Jillian Michaels and automatic speed and incline controls. This wireless technology is the ultimate workout experience! The Performance 400 also features a powerful 3.25 CHP Mach Z Commercial Pro Motor. It’s dynamically spin-balanced and extensively tested for superior performance. Other features include 30 built-in workouts, ProShox Elite 2 Cushioning and QuickSpeed and Quick Incline controls. ProShox Lite Cushioning: Compressing with each step, this cushioning responds evenly to your stride and offers a truly comfortable workout. SpaceSaver Design: To give you more room to stretch, or to stretch the room you have, the deck folds vertically for storage. iFit Live Compatible: Get smarter workouts and faster results with iFit Live. Featuring workouts Powered by Google Maps, training with Jillian Michaels and automatic speed and incline controls, this wireless technology is the ultimate workout experience! Now you can customize your own fitness program, receive automatic workout downloads and manage your profile online. Multi-Window LED Display: LED displays are easier to read than LCD’s and make keeping track of your workout that much better. This display tracks your speed, time, distance and calories burned so you can monitor your progress throughout your workout. 15 Built-In Workout Apps: Get the workout you want with 15 built-in workout apps. Choose from 5 calorie-burn, 5 timed or 5 distance workouts to get the results you want! The simple navigation of the apps makes it quick and easy to pick your workout and get going! Intermix Acoustics 2.0: Enjoy your favorite media with this built-in sound system that produces a broad range of frequencies and rich, equalized sound. Workout Intensity Control: This feature allows you to adjust the intensity of your workout at any time. If you feel like you aren’t working hard enough or would like your workout to be a little easier, simply adjust the intensity and the program will automatically adjust to your desired performance level. Nike + iPod Compatible: Track your performance with Nike + iPod! It’s the fastest, easiest way to stay in touch with your workout. Simply connect your iPod, work out and then sync your results online at Nikeplus.com. 2.25 CHP Mach Z Motor: Experience expanded power with this quiet, self-cooling drive system. Employing an axial fan, this motor reduces noise as it cools internal components–enhancing your workout environment and extending the motor’s life. 0–10% Quick Incline: The best and most convenient incline adjustment, Quick Incline allows you to change the incline with the single touch of a button instead of tediously scrolling through options as you would with traditional incline controls. 20" x 55" Treadbelt: A vital component of the drive system, this roomy treadmill belt is designed to operate both smoother and quieter than the average treadmill belt. 0–10 MPH QuickSpeed: QuickSpeed allows you to instantly change the speed of the treadmill between 0-10 MPH with the single touch of a button. Supports user weight of up to 300 lbs. Warranty: The ProForm Performance 400 is protected with a Lifetime Frame Warranty, 25-Year Motor Warranty and 1-Year Parts & Labor. The ProForm Performance 400 treadmill is an exceptional and full-featured exercise solution that is designed to provide you with a vigorous and superior quality workout. 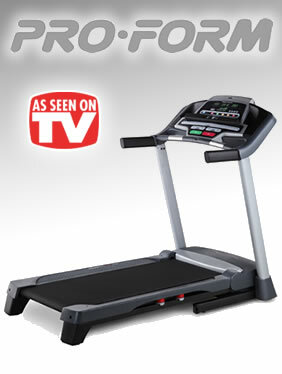 The Performance 400 treadmill from ProForm will have you getting fit and dropping those extra pounds before you know it. If you’re serious about getting into shape and staying that way ProForm offers the answer you’ve been looking for. What are you waiting for? 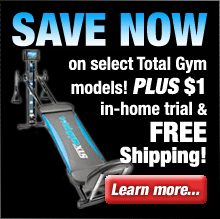 Order a ProForm Performance 400 treadmill and get ready to get into the best shape of your life.